Vishnu Institute of Technology organised a PM YUVA Yojana Student Awareness Program on Entrepreneurship and Start-ups on 21st December 2017. The chief guest/speaker of this session was Ms. Shweta Narayan, PM YUVA Nodal Manger-Hyderabad, MSDE, Govt. of India. Nearly 485 students participated from all branches including 1st Year B.Tech, M.Tech., and MBA. 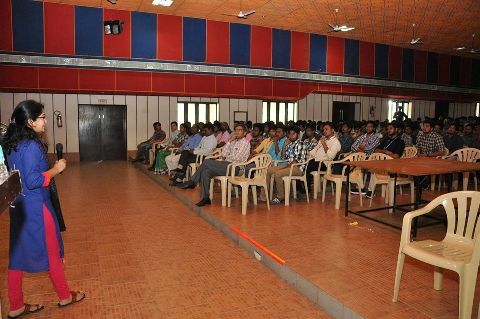 Various points has been discussed in this program and motivated the students towards stepping into entrepreneurship, start-up programs, the establishment of e-cell, enrolment of students for PMYUVA Yojana certification course, the formation of the body members, activities to be done in e-cell and etc. All department HODs, Coordinators and EDC cell members and faculty has actively participated in this event.